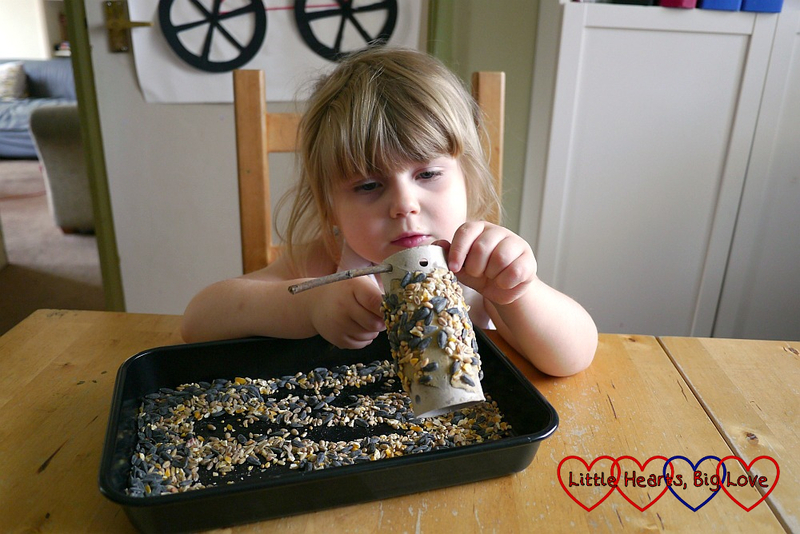 #30DaysWild is a month-long nature challenge run by the Wildlife Trust. It aims to encourage people to connect with nature by doing something wild each day through June. 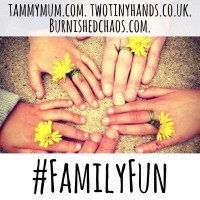 This is our second year taking part. 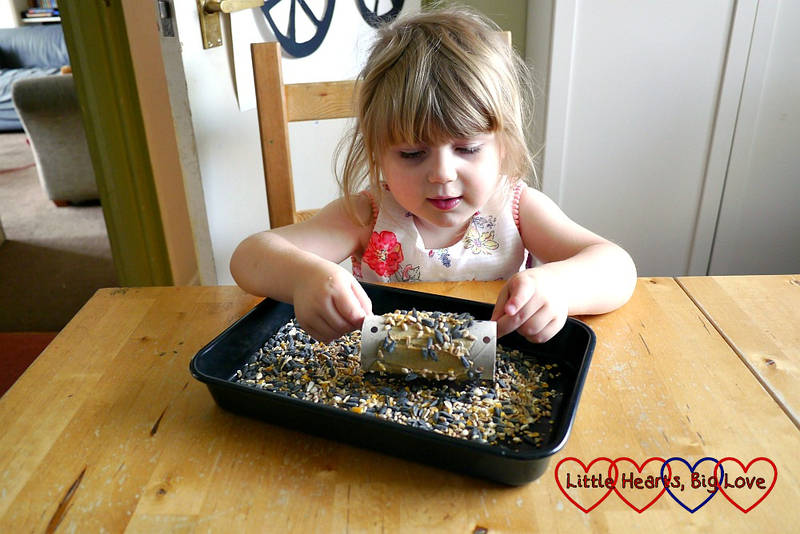 Our wild activity for day 4 was to help feed the birds in our garden. 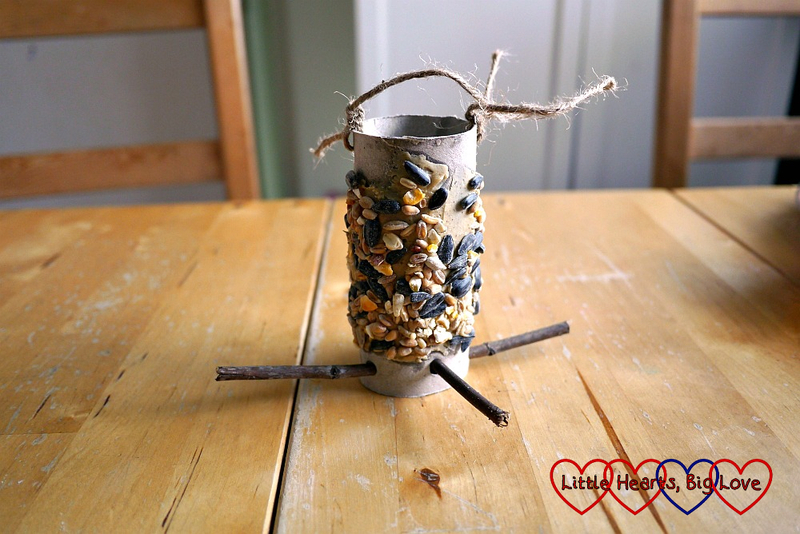 These bird feeders are made from toilet roll tubes and are simple for little ones to help make. 1) Punch two holes at opposite sides at the top of the toilet roll tube and four holes, evenly spaced at the bottom. 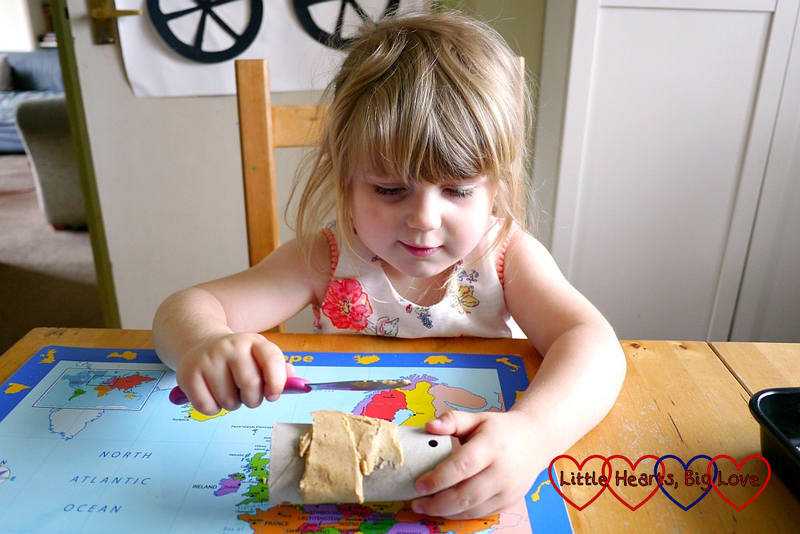 2) Spread the peanut butter around the outside of the toilet roll tube using a table knife. 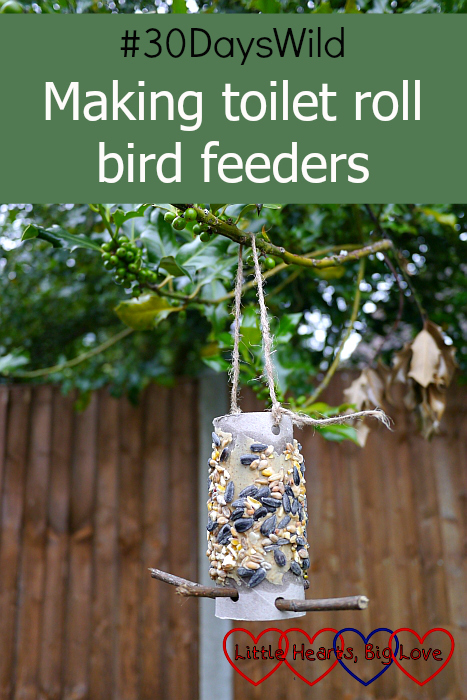 3) Pour some bird seed into the tray and roll the peanut butter-covered toilet roll tube in the bird seed. 4) Push two sticks through the holes at the bottom of the toilet roll tube. 5) Thread the string through the holes at the top and tie on either side. 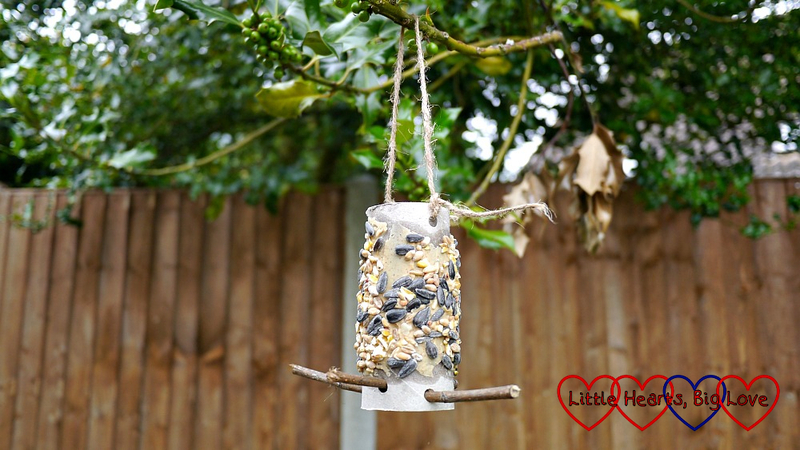 6) Hang your finished bird feeder in the garden and wait to see what birds come and visit.